Is Your Warehouse Relocating or Do You Need Demolition Services? Pacific Bend Inc provides nationwide warehouse clean-up and clean-out removal services, including demolition. If you are moving or vacating a warehouse. One of our warehouse services may be right for you. We have cleaned out large warehouses for top retail brands like Big Lots and Payless Shoes. Our crews are trained to remove equipment safely without causing damage to the surrounding structures and equipment. Our experience ranges from clearing small warehouse service sites to large warehousing facilities. We have also cleared out advanced manufacturing sites and complex utility infrastructures. 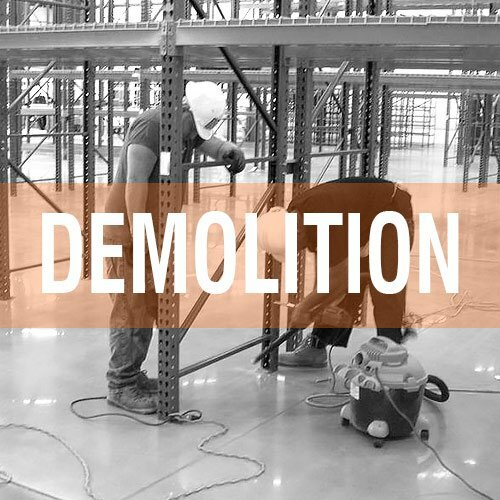 All demolition services are done with thorough safety procedures, OSHA and Federal regulations. Does Your Facility Require Teardown Services? Ensuring that your facility is cleaned-out in a safe and timely manner requires a professional service like ours. Send us your contact details and tell us how we can help.